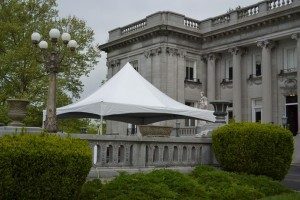 Our 20′ x 20′ high peak tents add an elegant flair to your event! They are made up of cables and a mast to accentuate the peak giving this tent its unique high peak. They are our most popular frame tent we carry but are great corporate events, graduation parties, birthday parties and more.